It’s getting warmer and perfect weather to spend quality time with the family outdoors. Irvine Park offers families a variety of fun with the Railroad activities, playgrounds scattered throughout the park and more. 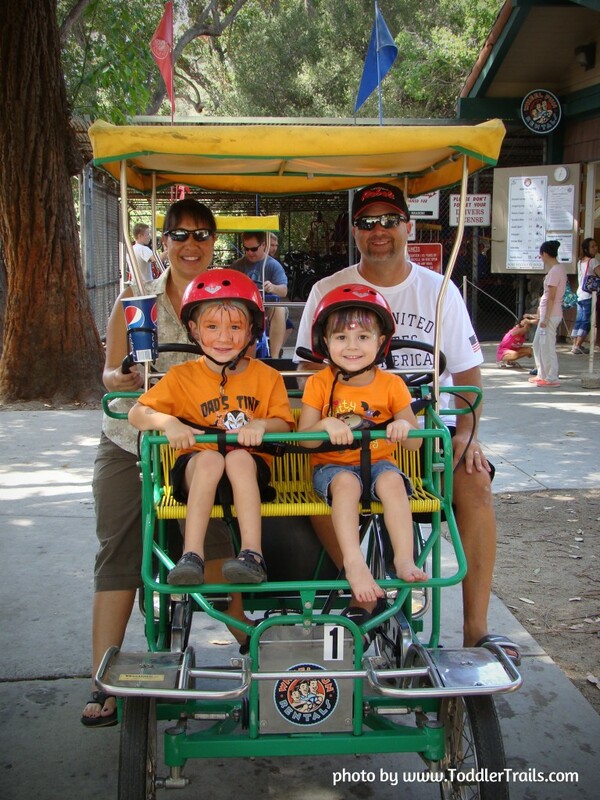 Wheel Fun Rentals® at Irvine Park bike and paddle boat rentals offers many fun bikes and paddle boat options to rent. Families will have loads of fun and recreation with Wheel Run Rentals’ unique outdoor recreational vehicles – the surrey and paddle boats.